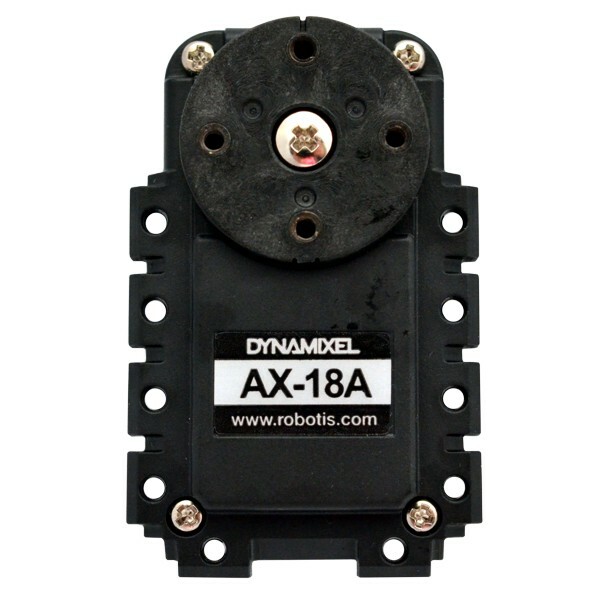 The Dynamixel AX-18A smart servo actuator features additional torque for tasks that require more muscle. 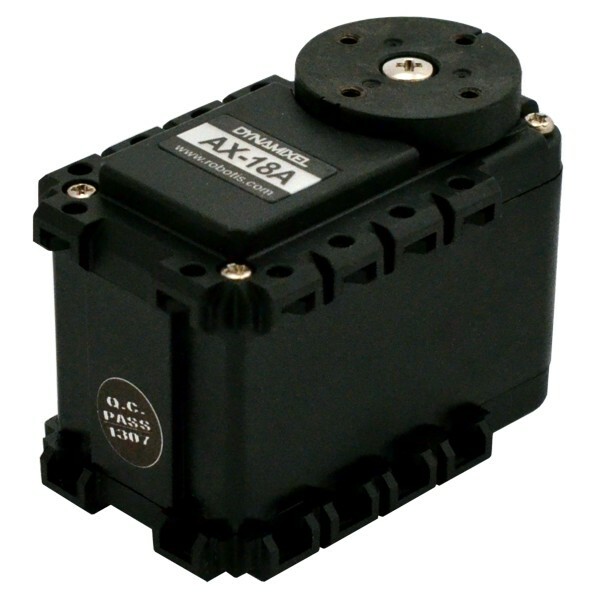 Like all Robotis Dynamixel servos, the AX-18A features a built in microcontroller for advanced positioning and feedback operations. 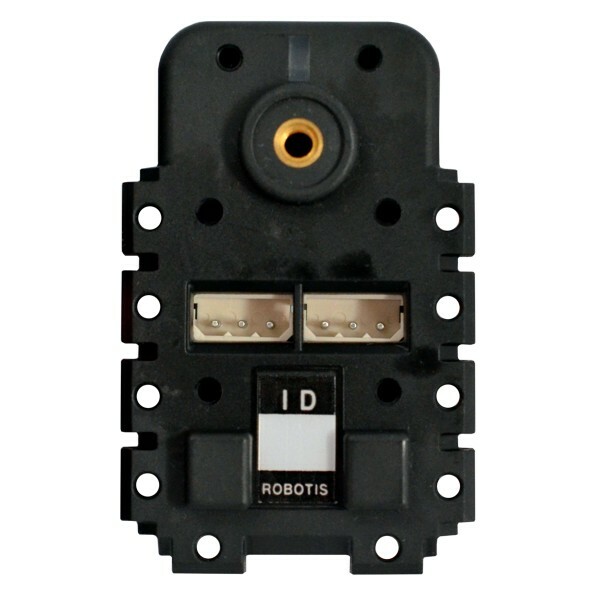 Dynamixel smart servos communicate over a serial bus that can be daisy chained to create network of individually controllable start servos. 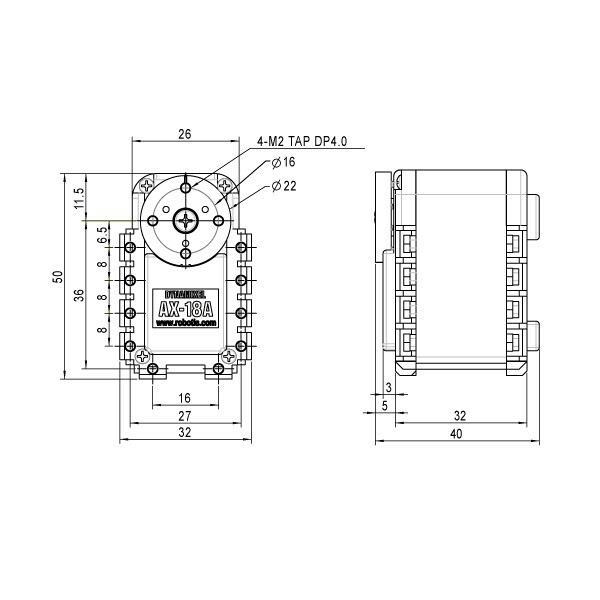 The servo responds to a rich command set used to select operating modes, query the servo position and report back the servos speed, temperature, position and other properties. 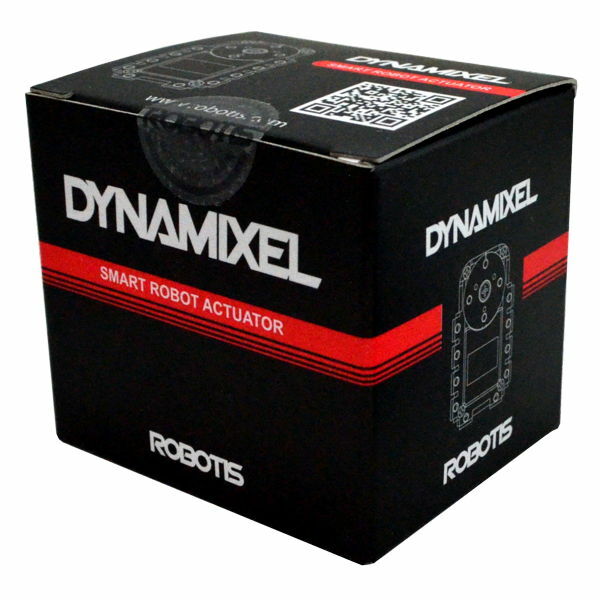 The Dynamixel AX-18A is the same form factor as the other AX series servos but has more torque and runs a bit faster. The AX-18A can operate in 300 degree actuator mode or a wheeled mode like a continuous rotation servo.